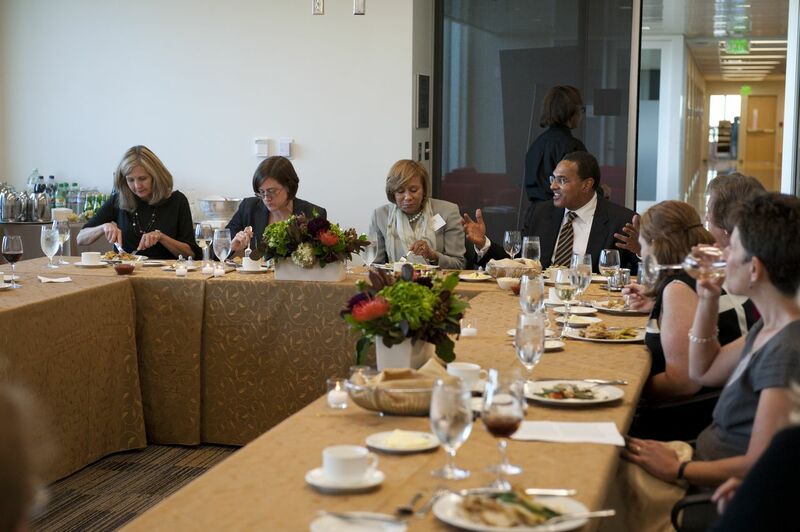 Dr. Freeman Hrabowski hosted the second annual 1966 Society dinner on September 19 in the 4th Floor English Department Conference Room in UMBC’s new Performing Arts and Humanities Building. 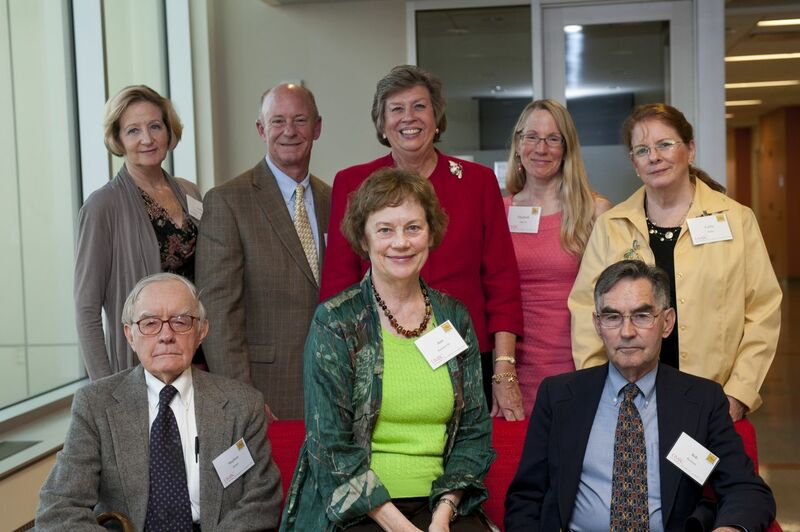 The 1966 Society celebrates those individual members who have identified the UMBC Foundation in their estate plans. 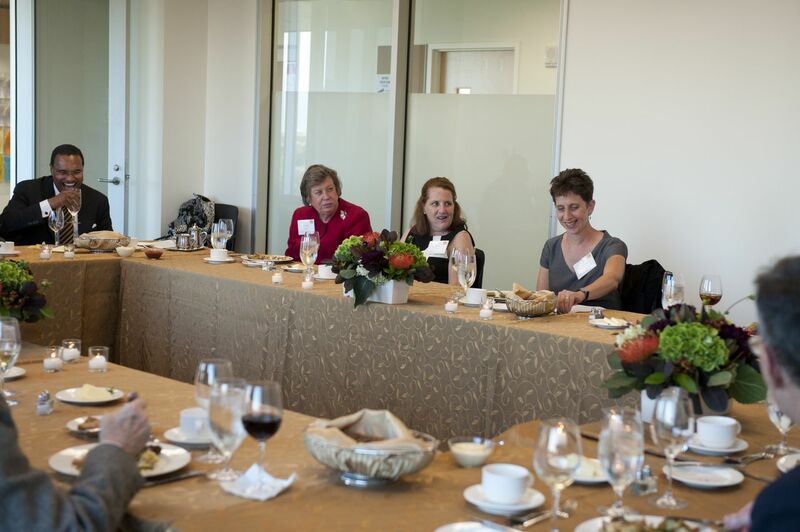 Guests had a terrific view of the campus and the Baltimore skyline as they enjoyed their evening. During dinner, Dr. Jessica Berman, Chair of the Department of English, welcomed them to the English department and described how introductory courses are being redesigned to improve students’ writing skills and incorporate new technology. Please contact Kim Robinson at trowbrid@umbc.edu or 410-455-3700 if you have included the UMBC Foundation in your estate plans so we can invite you to next year’s dinner. Front (L-R): Stephen Barker, Ann Burchard ’82, Robert “Bob” Burchard. Back (L-R): Leslie Wilson ’74, ’76, Courtney Wilson, Jo Ann Sabas’77, Liz Allen ’82, Catherine Weber.